Saying it is "deeply concerned" by potential mining near the Boundary Waters, the U.S. Forest Service announced Monday it may withhold consent to renew two mining leases within the same watershed as the wilderness area. The Forest Service also said it's concerned "by the inherent risks associated with potential copper, nickel and other sulfide mining operations within that watershed," including possible contamination from acid mine drainage and tailings basin failures. The agency further announced a 30-day public comment period "to better understand public views" on the proposed renewal of the two leases, which are held by Twin Metals Minnesota. In addition, the Superior National Forest will hold a listening session in Duluth on July 13. "This is a big deal," said Aaron Klemz with the Friends of the Boundary Waters Wilderness. "This is probably the first chance the public has ever had to weigh in on the question of whether or not sulfide mining is an appropriate activity right next to America's most popular wilderness." Twin Metals Minnesota currently holds two expired leases near Ely, just a few miles from the southern edge of the Boundary Waters Canoe Area Wilderness. Those leases have become the latest flashpoint in the contentious debate over whether copper and precious metals mining, which opponents argue creates bigger risks than mining for iron ore, should be allowed so close to the nation's most popular wilderness area. 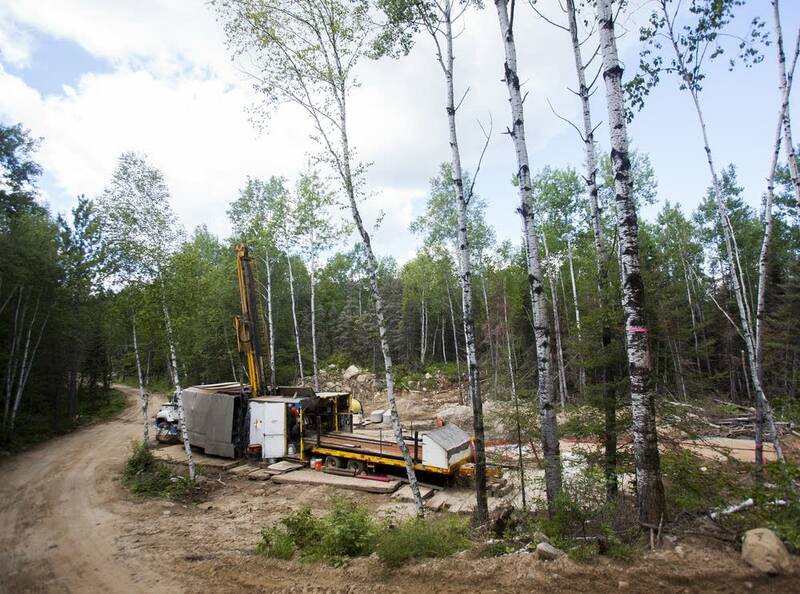 For years Twin Metals has explored for minerals in the Superior National Forest less than 10 miles southeast of Ely, and is considering what could be one of the largest underground mines in the United States. A 2014 study predicted a mine there could employ 850 workers and operate for 30 years. The U.S. Forest Service stressed it has not made a final determination on whether to grant its consent to renew Twin Metals' leases. But several mining proponents interpreted the agency's press release that way. "It seems apparent from the Forest Service's announcement that they have all but decided to disapprove the leases even before the 30-day waiting period for public input and a listening session commences," U.S. Rep. Rick Nolan, D-Minn., said in a statement. "That, in itself, is very disturbing." Nolan, who is running for re-election to his 8th District seat, and other mining supporters complained the Forest Service is thwarting the process, by raising potential environmental concerns long before a mining plan has been proposed. "Right now there's no project," said Frank Ongaro with the industry group Mining Minnesota. "This is a lease. The process for a lease does not rise to the level of any environmental concerns." The U.S. Forest Service previously had signed off on the lease renewals twice with little fanfare, most recently in 2004. And Ongaro pointed out the proposed PolyMet copper-nickel mine near Babbitt and Hoyt Lakes recently concluded ten years of environmental review, after a mine plan was proposed. "And now they want to make a decision on something in a month of public input and one meeting in July," he said. "This is simply ridiculous." Gov. Mark Dayton, who back in March announced he opposed mining near the Boundary Waters, commended the Forest Service. "My position regarding this project and its inherent danger to the Boundary Waters remains unchanged. However, I recognize that the federal government has its own separate jurisdiction in this matter," the DFL governor said in a statement Monday. Mining critics hope the federal government goes further. Becky Rom with the Save the Boundary Waters Campaign is also advocating for the U.S. Department of the Interior to place a 20-year ban on mining near the Boundary Waters, something the Obama administration did around the Grand Canyon. "It's not a matter of how a mine might be designed. There are no modern mines that can prevent damage to a place like the Boundary Waters," Rom said. Several other companies are also exploring for minerals in the area, and Ongaro said he expects the Forest Service announcement to have a chilling effect on their activity. "This is not just about Twin Metals," he said. "This is a terrible precedent for any company looking at mineral development and job creation in that watershed." The Forest Service's 30-day public comment period begins June 20.